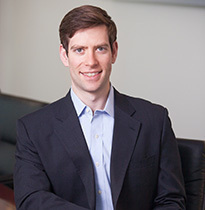 Prior to Bertram, Alex was with Goode Partners, a consumer and retail focused private equity firm based in New York. Before joining Goode, Alex was a member of the Consumer & Retail Investment Banking group at Wells Fargo Securities in Charlotte, NC. Alex currently sits on the board of two Bertram portfolio companies: Creative Drive (a leading content creation company) and Spectrio (tech-enabled in-store marketing company).